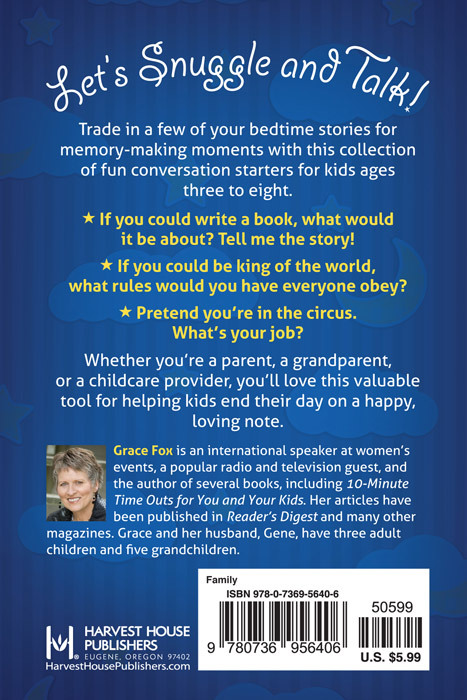 Trade in a few of your bedtime stories for memory-making moments with this collection of fun conversation starters for kids ages three to eight. Its filled with open-ended questions that will stimulate your childrens imagination and help them express their thoughts. - If you could write a book, what would it be about? Tell me the story! - If you could be king of the world, what rules would you have everyone obey? - Pretend youre in the circus. Whats your job? Whether youre a parent, a grandparent, or a childcare provider, youll love this valuable tool for helping kids end their day on a happy, loving note. Tuck-Me-In Talks with Your Little Ones by Grace Fox was published by Harvest House in February 2014 and is our 43299th best seller. 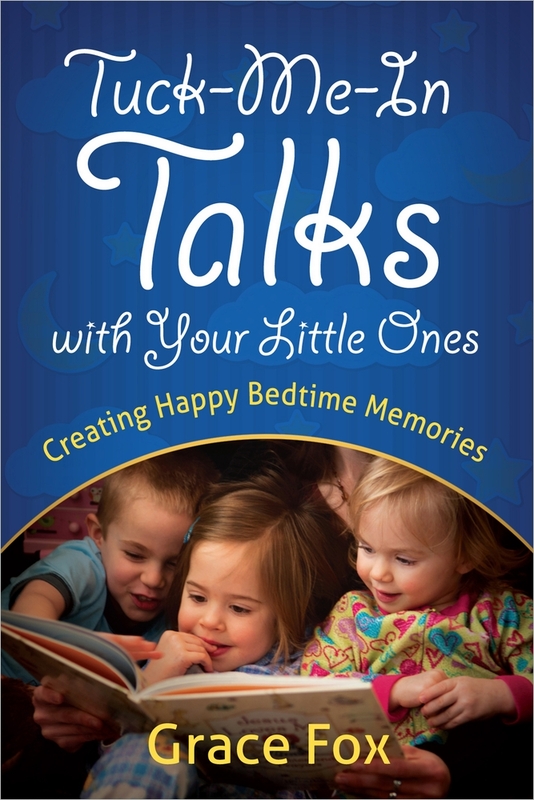 The ISBN for Tuck-Me-In Talks with Your Little Ones is 9780736956406. Be the first to review Tuck-Me-In Talks with Your Little Ones! Got a question? No problem! Just click here to ask us about Tuck-Me-In Talks with Your Little Ones.